Here’s what others are saying about Dr. Anthony! Feedback is love, so please leave your testimony at the bottom of the page! Dr. Michael Anthony was invaluable as the presenter for our Spring SGA retreat. He really listened to the questions and concerns I had as an advisor and created a comprehensive plan to help the students overcome their obstacles. He was engaging, professional, and the students immediately connected with him on issues of organization, leadership style, and development of their SGA. The most influential portion of his presentation lies in the reflection and assessment after he visited campus. In several group and one-on-one conversations I had with students they immediately made personal connections with the material and questions he provided often without any prompting. One student has even asked several people to take the assessment he gave students to compare results as a tool to relate to them! I am looking forward to how students take the questions and prompts he gave them and transform the SGA. We definitely look forward to having him back at Rock Valley College again in the future! At my time at the University of Louisville, Dr. Anthony provided me a great many of reasons to write this recommendation. He helped me develop an academic plan that resulted in the academic improvement of a scholarship organization on campus; he helped developed a communications plan that allowed another organization i which I was part of develop a comprehensive plan to better reach my constituency. In each avenue, he did so with complete energy, focus and devotion to the cause of my organization and my needs. In short, without Dr. Anthony, we couldn’t have been successful. He is a passionate, focused, and dependable individual and any business or organization that he works with will reflect his expertise in results-oriented leadership. Michael has one of the most valuable personalities I know. He is a dynamic gentleman that gets the job done and creates rewarding friendships along the way. It’s been a real joy working with Michael and getting to know him, since meeting in 2006. Dr. Michael Anthony is well-versed to analyze an issue and help get his clients to the most efficient answer. A dynamic presenter, Michael engages his audience and incorporates humor and personal experiences to deliver meaningful presentations. As a fellow consultant, I have him at the top of my list if needing a go-to person for diversity or leadership training. As a former colleague, I can attest to the personal attention that he brings to those that are fortunate enough to interact with him. Your organization will notice his positive impact immediately! 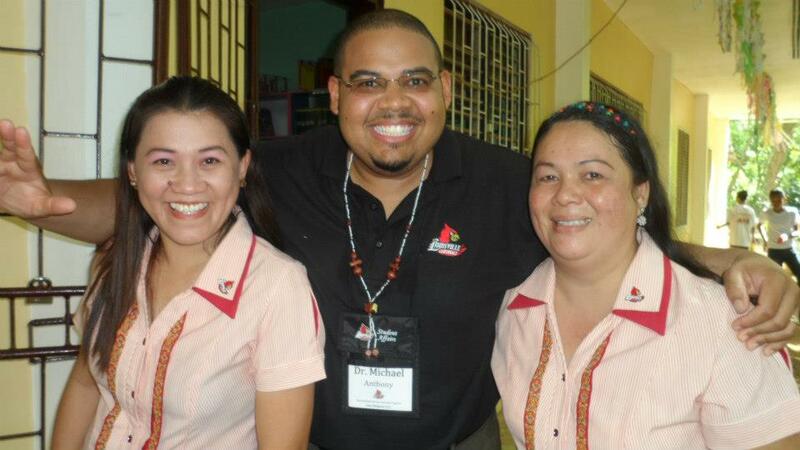 Dr. Anthony is a charismatic, inspiring leader who helps students, faculty, and staff realize their potential. Dr. Anthony is knowledgeable, creative, and engaged. In addition, Dr. Anthony is an excellent public speaker and communicator. I would highly recommend this person. Dr. Michael Anthony is an leadership engineer. If you have an idea for what you want to see happen; Dr. Michael Anthony with help you with the blueprint. He has come alongside me and my ministry work at the University of Louisville and helped me to envision what InterVarsity could be for the Black community there. I greatly appreciate his work; value his professionalism, and respect his humility. Dr. Anthony is one of the most charismatic and dependable people I know. I have worked with Dr. Anthony on many different projects and he has always been a wonderful resource. My main interaction with Dr. Anthony has been through my work on a research project and his presentations to several groups on the University of Louisville’s campus. Dr. Anthony assisted me and one of his interns in creating an assessment. We assessed the Office of Civic Engagement and African American male involvement with the office. His advice gave our project guidance and meaning. Dr. Anthony has also presented various times on campus for several organizations and special events. As the keynote speaker for the first annual UofL Student Organization Conference, he had the audience captivated. The passion and respect University of Louisville students showed him was admirable. His message and style of presenting is something that I will never forget. He is a professional who’s passion constantly inspires me to continue to improve my own work ethic and skills. 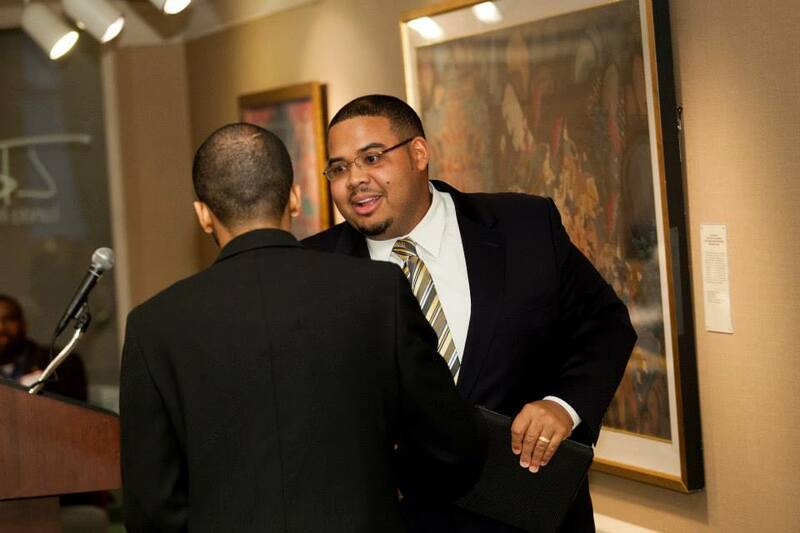 Michael Anthony believes in empowering young leaders and puts that belief into action. While I was a student at the University of Louisville I interacted with Michael often and was always impressed by his professionalism and passion for his work. Michael helped me secure an amazing professional development opportunity by obtaining a grant to attend Leadership Louisville’s Focus Louisville. Michael and I attended the event together and networked with leaders in our community and further honed our leadership skills and connections to the great city of Louisville. 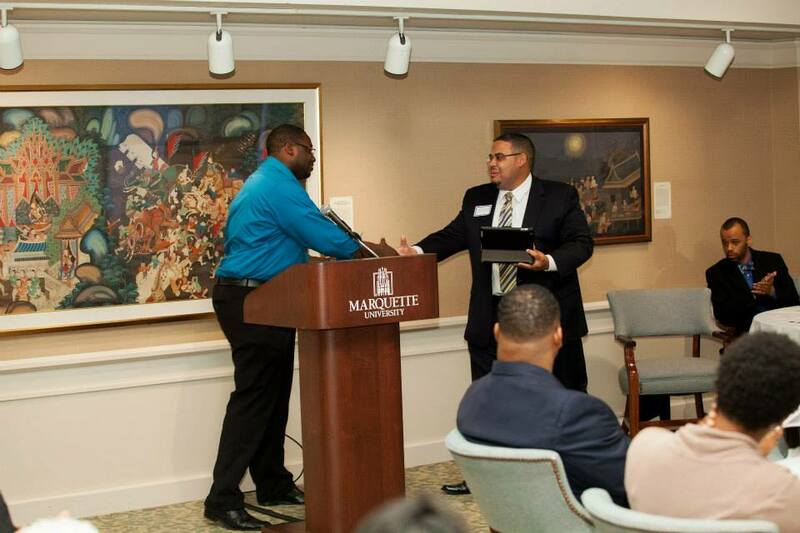 The event and Michael’s encouragement helped me develop my passion for leadership and community involvement. I am a better leader and citizen because of his work. Michael has always been one to think outside the box and present new and creative solutions toward values-based leadership development. The General Shelton Leadership Center is grateful for his commitment to developing the next generation of leaders and know he will deliver promising leadership development consultation to anyone with whom he serves.